BAGUIO CITY, BENGUET—To promote creative economy and sustainable tourism, UP CIFAL Philippines held its 5th Inclusive Business (IB) Forum on November 12, 2018 at the University of the Philippines Baguio (UPB). More than 50 government employees, business practitioners, and students participated in the IB forum, jointly organized by UP CIFAL Philippines and UPB. In his opening remarks, UPB Chancellor Dr. Raymundo Rovillos mentioned that Baguio City has been designated as one of the United Nations Educational, Scientific and Cultural Organization (UNESCO) creative cities that promote innovation and creativity towards a more sustainable and inclusive urban development. UP CIFAL Philippines Director Dr. Edna Co related how the city can contribute to achieve the sustainable development goals (SDGs), particularly SDG 11 (Sustainable Cities and Communities) and SDG 9 (Industry, Innovation and Infrastructure). Government agencies in the Cordillera Administrative Region (CAR) also laid out their programs on creative economy and sustainable tourism. Engr. Dolores Molintas, assistant regional director of National Economic and Development Authority in CAR, pointed out how their policies based on the Ambisyon Natin 2040, a plan that represents the long-term vision and aspiration of Filipino people, help achieve SDGs, such as SDG 12 (Responsible Consumption and Production). Grace Baluyan, assistant regional director of Department of Trade and Industry in CAR, explained their programs and projects on inclusive business, such as Small and Medium Enterprise Roving Academy, Promotion of Green Economic Development (ProGED), and One Town, One Product (OTOP) program. Business practitioners also illustrated their initiatives to foster creative economy and sustainable tourism. Wryneth Mayapit, programs manager of Edaya Cordillera-Philippines, presented how they train the youth, especially school dropouts, in the Cordillera to become social entrepreneurs. Raul Boncan, president of the Cordillera School of Digital Arts, showed how their curriculum to career program trains unskilled people to become digital artists and animators who are now tapped by international digital arts companies. Dr. Niceto Poblador, retired UP professor of economics and management, explained in his paper, “Inclusive Business: Strategic Outcomes and Developmental Impact,” the strategic rationale for inclusive business models to attain sustainable profitability in the long run. Dr. Kareen Leon from the University of Baguio shared that they are starting a new curriculum that encourages entrepreneurship among students. 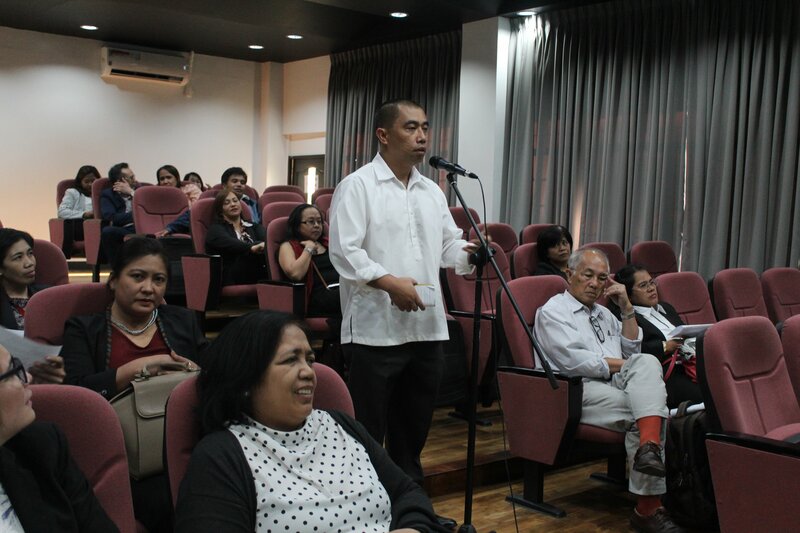 During the open forum, the participants raised issues on economic development and social inclusion. Representatives from the Cooperative Development Authority recommended looking into cooperatives as an inclusive business model because of their role in uplifting the lives of poor communities. Boncan also emphasized the need to teach their students not just technical skills but also business skills to help them become entrepreneurs. Ganongan added that government agencies should work together to give the beneficiaries a holistic training. Inclusive business is one of UP CIFAL Philippines’ focal areas to promote and help achieve the United Nations’ SDGs, such as SDG 1 (No Poverty), SDG 2 (Zero Hunger), SDG 8 (Decent Work and Economic Growth), SDG 10 (Reduced Inequalities), SDG 12 (Responsible Consumption and Production, and SDG 17 (Partnership for the Goals). Through UP CIFAL Philippines, the key takeaway points that emerged in the Inclusive Business forum series will be integrated as learning materials that highlight the innovative practices on economic development and capacity for 2030 Agenda.